We would like to send you notifications on the latest FamilyRated Club offers. No one spreads the word faster than parents who've found a solution. That's why we constantly receive orders for Penaten Baby Cream from Germany. 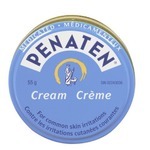 Penaten is an excellent skin cream that can be used for baby's diaper Rash or to eliminate skin rashes for adults. This water-resistant formula simply has no competition. Penaten Cream has been used for decades successfully for the treatment of diaper rash, sunburn, scalds, dermatitis and the relief of itching due to eczema, and relieves rash caused by heat and perspiration. Join the legion of fans who depend on this skin-soothing wonder for babies and adults. This product has been a staple in my family for years. It works great for rashes on baby and helps clear it up quickly. It is also great for adults on summer days to protect for chaffing. A must have for whole family!! I originally received this in a diaper kit gift pack over 10 years ago. Although it was thick it worked on the baby’s bum rash, acted as a barrier and cleared everything up. I continued to buy for the baby who is now 11yrs old and apply it on myself when dry patches come up or when anyone in the house gets skin irritation. best product I've ever used! This product has helped me through diaper years for my children 17 years apart and also myself to this day for any skin irritations that occur.. and it works fast and dries up affected area..
My daughter is two and gets really bad diaper rashes, I’ve tried every cream you could think of and none of them worked like this one dose! It’s a miracle worker and that’s no lie! I’ll put it on after I diaper change and the redness/rash will be gone! It’s a nice thick cream that leaves your baby smelling so nice and does the trick! So what’s not to love? And it’s affordable!! 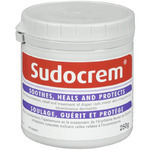 This bum cream works okay I find it is thick and refuses to soak in so all your doing is putting a layer of protection on baby's bum but it doesn't Adress the issue as to clearing a rash. My daughter is very prone to diaper rash this cream has 18% zinc oxide and helps control the rash, it is thick and works! It also is good for minor skin irritations. I got it at a great price buying at Costco! J'ai essayé 3 autres crèmes pour prévenir l'érythème fessier chez mon nouveau-né et je dois dire que c'est ma préférée. L'odeur est agréable, la consistance aussi, mais surtout pas de problèmes d'érythème. I grew up with this product. I have used it on all of my kids and on my nephews and nieces. It's sticky. You only need to use it sparingly.It's not harsh on your baby's delicate skin.It has a variety of uses. I tried this when my younger son was just almost a month old. He got that bad rashes in his private part. We tried Penaten Original Medicated Cream for my baby. Probably works 80% overnight. Rashes looks better but it takes a while to heal. Maybe depend on the skin of the baby, some it heals quicker I heard from few feiwnds who uses this. In total I will definitely buy again. These reviews are the subjective opinions of FamilyRated members and not of ChickAdvisor Inc.
Stay in the loop for the latest news, contests, deals and more! 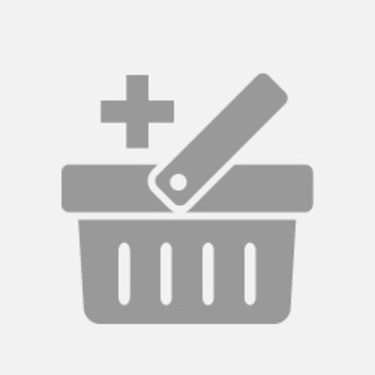 © 2006-2019 ChickAdvisor Inc. All Rights Reserved.